Camping Burgundy: the name evokes idyllic images of vineyards, beautiful architecture, and cosmopolitan cities. Burgundy is a world of its own that offers amazing cultural and natural diversity. If you can't wait to go on the camping holiday of a lifetime in this beautiful French region, contact the luxury camping experts at LUX-camp to book your stay. Why choose camping in Burgundy? More than 1,200 different soil types that produce unique grape varieties. 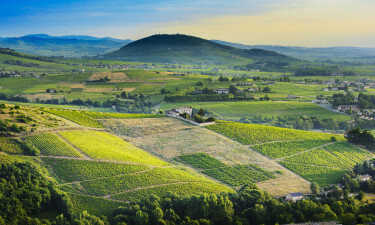 This region is a paradise for every wine lover. 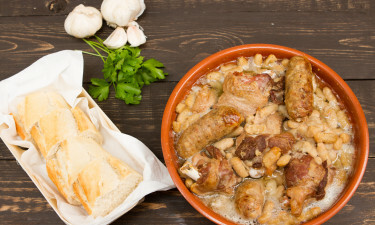 Indulge in the most acclaimed French specialities during your holiday in Burgundy. Here, gastronomy is elevated to an art and every dish is a treat to your senses. A varied range of cultural attractions, natural sites, sports, and events are available year-round. Excellent luxury camping sites are spread throughout the region to ensure you have a one-of-a-kind experience in Burgundy. Burgundy is blessed with a varied geography and a pleasant climate. Hilltop villages, medieval castles, historic market towns and cosmopolitan cities are within easy reach of the campsite of your choice in Burgundy, not to mention the haute cuisine and world-class wines. Burgundy is the ideal place for anyone looking to enjoy a different camping holiday where luxury, comfort, and a spectacular natural environment are in perfect harmony. Le Domaine de l'Epervière is a luxury camping site that is conveniently located in southern Burgundy. The campsite's location is ideal for anyone interested in exploring the region's top landmarks. As for the facilities available, Le Domaine de l'Epervière offers a superb range of five-star amenities that guarantee the most absolute comfort. Guests may choose to stay in spacious mobile home units, which can accommodate up to 6 people, have a private terrace, and are tastefully decorated and fully equipped. Alternatively, you may stay at the campsite's beautifully appointed 2-bedroom villas, which have been recently renovated while preserving all the charm of the 16th century mansion in which they are housed. Leisure facilities include indoor and outdoor pools, a spa, bars and restaurants offering wine tastings as well as local delicacies, and exciting entertainment options for guests of all ages. Enjoy a glorious day out at one of the many beaches along the Saone River or at Chaumecon lake. Morvan National Park is a top destination for nature lovers: explore its rivers, lakes, and forests on foot or horseback. Other top natural attractions include the Parly chestnut grove and Bois du Parc nature reserve. 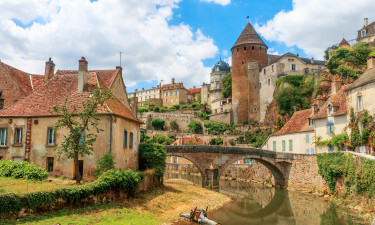 Burgundy's delightful cities are packed with cultural treasures and beautiful sights. Dijon is one of the country's finest cities thanks to its impressive palaces, lovely parks, great museums, and splendid markets. 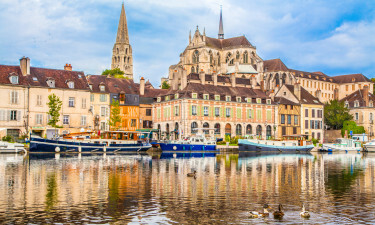 With its superb dining and shopping venues, Auxerre is also worth a visit. Wine tours are Burgundy's top attraction. Choose among day trips and multi-day tours to some of the world's top vineyards, or simply rent a bike and explore the Route des Grands Crus at your leisure. Discover Burgundy's impressive heritage by visiting the abbeys at Fontenay and Vezelay, or go on a family day out to the region's most impressive castles, like Chateauneuf, Couches, or Rochepot. You will never be too far from excellent restaurants serving famous local specialties like coq au vin or beef bourgignon. Of course, the highlight of any holiday in Burgundy is the amazing variety of world-class wines, like Chablis, Domaine de la Romanée-Conti, and Domaine Leroy. Burgundy's weather is mostly mild and pleasant, especially during the peak camping season (June to September). During this time of the year, you can expect to enjoy up to 8 hours of sunshine a day. The temperatures stay mild (around 20°C) until late September.